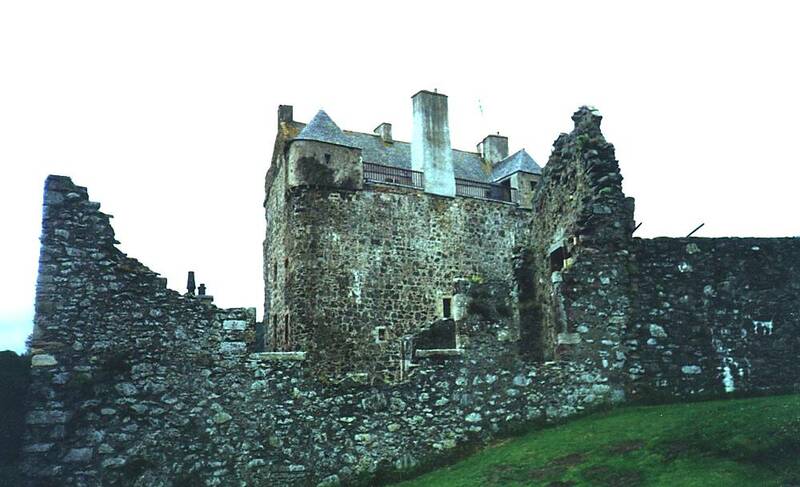 Dates from 15th C. Once described as third strongest castle in Scotland. A good stretch of the Roman road which runs from Corbridge, beside Hadrian's Wall, to Crammond on the Firth of Forth. Beside the road are scoops, pits from which the gravel for building the road was taken. 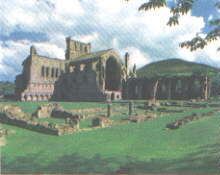 Perhaps the most beautiful of all the Border Abbeys, the ruins of Dryburgh Abbey are remarkably complete. 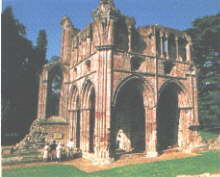 The burial place of Sir Walter Scott and Field Marshall Earl Haig. 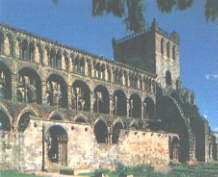 Much of the work is of the 12th and 13th century. 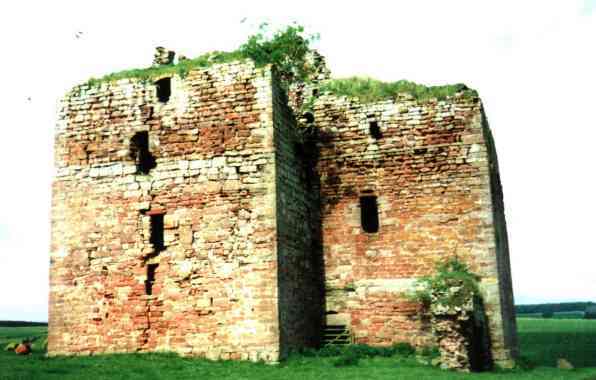 One of the few Iron Age brochs in lowland Scotland and unusually large, sitting in a fort defended by ramparts and ditches, partially overlain by a later settlement. The richly-carved Norman doorway of the old parish church of Edrom, in the kirkyard. 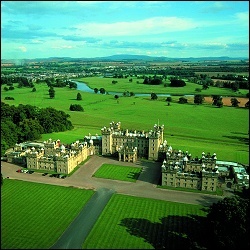 The house was built by William Adam for the 1st Duke of Roxburghe in 1721. What you will see here is an evolving story of a house and the impressions left by succeeding generations. The roof alterations by the 2nd Duke, the external remodeling by the 6th Duke and the interior modifications by the 8th Duchess are just some of the changes effected over the years. A two-storey barn used for storing payments to the parish church made in grain. View exterior only. 5.5m NE of Newcastleton, B6399. 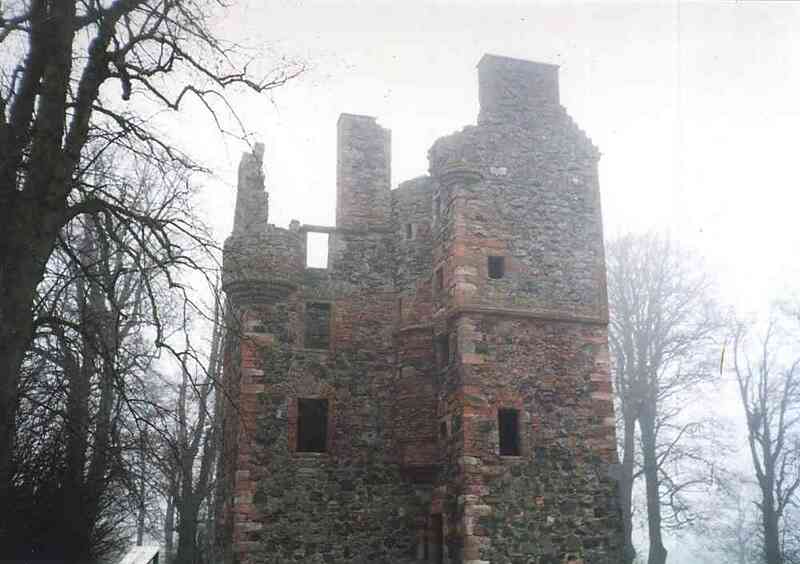 A vast, eerie fortress at the heart of many of the bloodiest events in the history of the Borders. 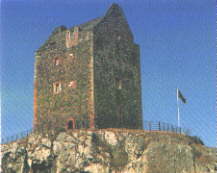 Mary Queen of Scots made her famous ride here to visit her future husband, the Earl of Bothwell. 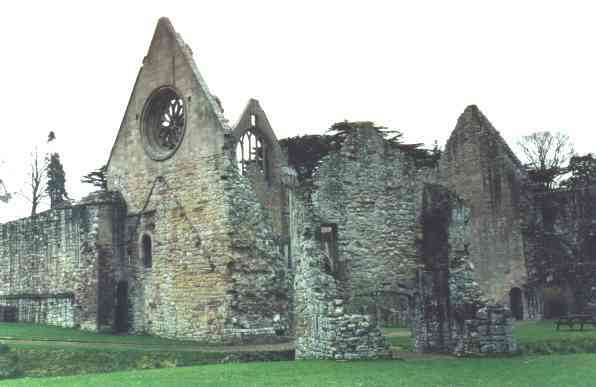 A majestic building founded by David I in 1138 for Augustinian canons. 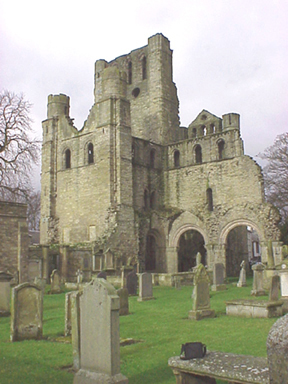 The church is mostly in the Romanesque and early Gothic styles and is remarkably complete. Remains of the cloister buildings have recently been uncovered and finds from the excavations, including the 12th century 'Jedburgh comb', are on display in the award winning visitor centre. 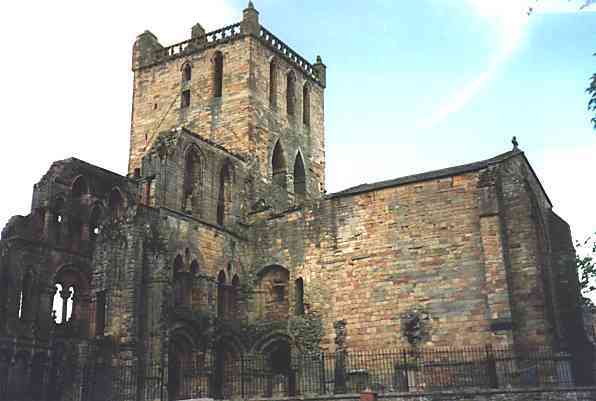 The west end of the great abbey church of the Tironensians, brought to Kelso in 1128 by David I. Even in its fragmentary state, this is a superb piece of architecture. Thanks to Dennis Evanosky for the photograph. 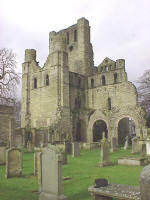 At one time probably the richest abbey in Scotland whose 14th to 16th-century remains retain a unique elegance. 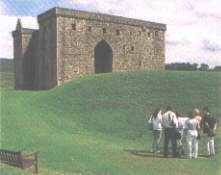 Said to be the burial place of Robert the Bruce's heart. Audio guide available.